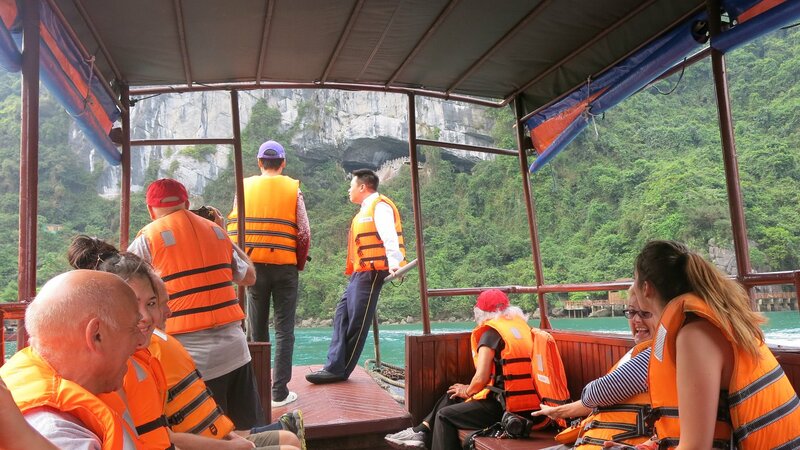 In order to reach the mouth of Sung Sot Cave, the travelers need to climb about 50 steep stone stairs. 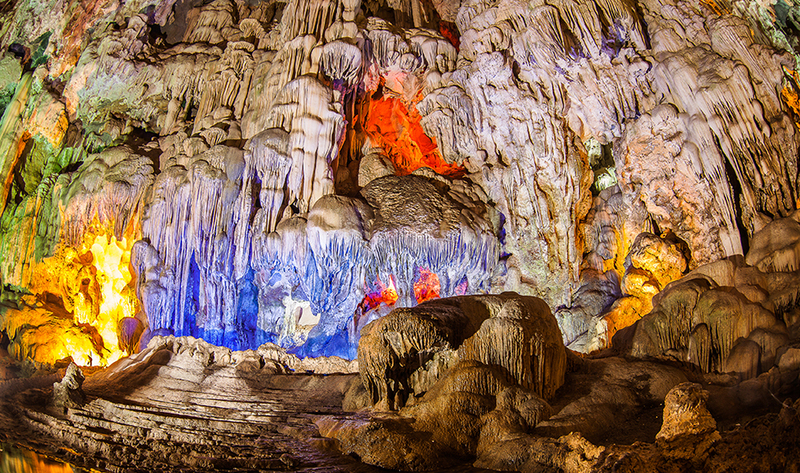 This grotto covers around 10,000 m2 with two impressive chambers. The first one looks like a theater hall with numerous stalactites hanging from the high ceiling. Follow a narrow way to the second chamber and behold a flow of natural light immersing the surfaces. The light is penetrating from and above, through a huge opening making a natural skylight. 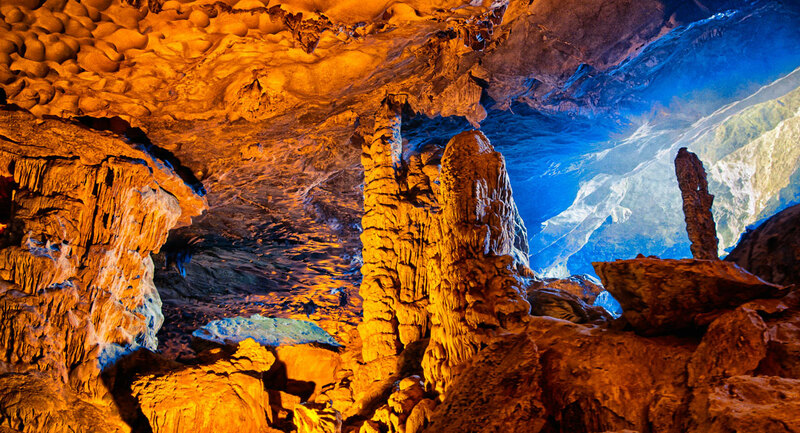 This cave height is about 30 meters with the innumerable crevices and cracks for millions of years. Near to the exit, there is a large formation stretching from floor to ceiling, reducing at the middle to create a curved pillar that appears to be keeping the roof in place. 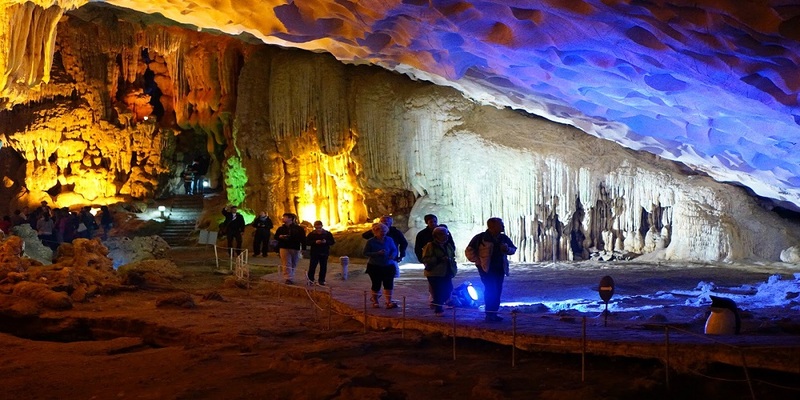 In order to guarantee the traveler’s safety, the path is built to zigzag through Sung Sot Cave. Just follow this road to behold the internal cave and come out of it to get a panoramic view of Bo Hon Bay below. One of the most important tips is to ask about everything before paying up, not after. Don’t think that something you want is a part of the package because you paid all. An unscheduled tour without going kayak is about $50 per person. Keep in mind that all tours are not subject to refund. Does the tour consist of pick-up at the hotel and vice versa? Some tours just give hotel pickup but the only drop-off in a particular place, not the travelers’ hotel. The meal that serves as a part of the tour might not be enough. And drinks can also be expensive on tourist boat (about $2 for a bottle of beer). That’s why the travelers should find out which tour includes the meal and check how much they have to pay per extra meal or drink if they want more. How to get Sung Sot Cave? 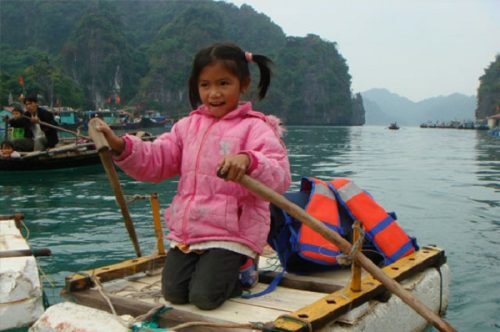 Just book a tour to Halong Bay and then the travelers will visit one of the most magnificent cave. 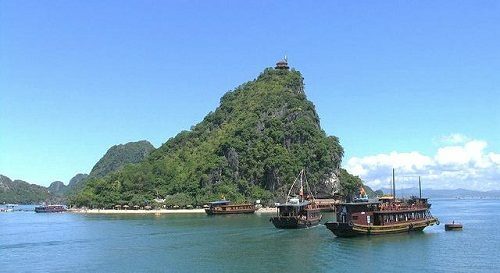 Don’t miss a trip to this lovely bay when you come to Vietnam for the first time. It’s certain that your mind will be blown away.